SLICE OF LIFE, 2015. Acrylic on canvas, 12×14. 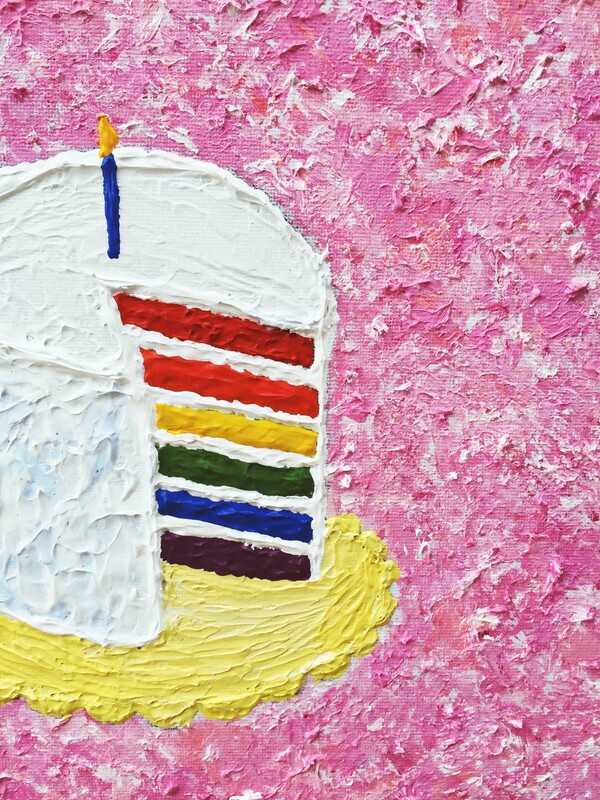 Why wait for your birthday to have something as dreamy and frivolous as a rainbow cake? The world owes you nothing, but you deserve to have your life exactly as you want it—so take your slice and enjoy every last bite of it. RAINBOW CAKE. You know you want it. If you want something badly enough, you should go after it. Don’t settle for vanilla when you really want chocolate. Don’t say yes to good enough when you know you want better. Go after the rainbow cake. 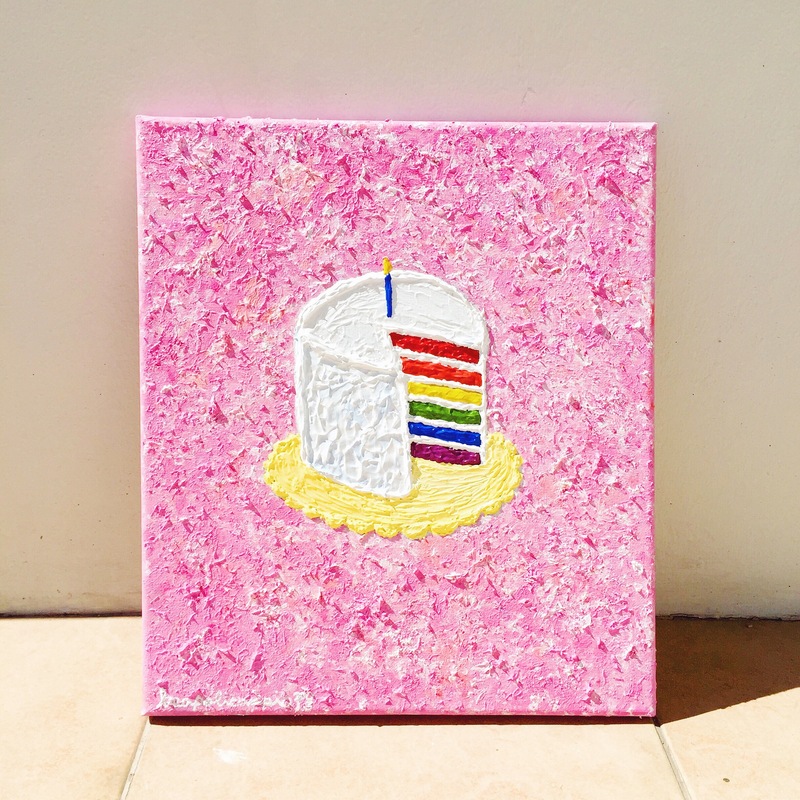 What’s the rainbow cake in your own life?